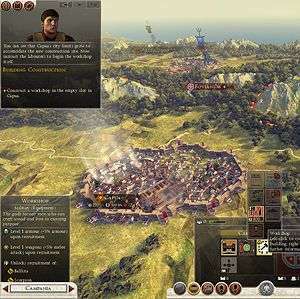 The Total War series has been a staple of strategy games since the first Shogun Total War unleashed battalions of sprites for gamers to command, complete with the infamous glitches, release-day bugs and snags that come with a game of such scope and the ambition to emulate the ruling empires. 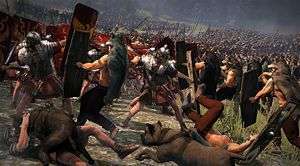 The state of Rome 2 at launch was less than stellar even for a Total War game, releasing in an awfully buggy state, with compatibility issues, serious AI flaws and graphics problems, and there is even an apology sitting in the Total War forums from creative director Mike Simpson promising serious patching. A week after launch, a second statement from Creative Assembly appeared in the Total War forums, promising fixes, better ‘community dialogue’ and, most importantly, that the Total War series will be planning to implement ‘long open betas’ in the future to avoid this kind of problem. Hopefully this means that someone back in the general’s tent has, finally, seen the logic in a wide-scale testing instead of rushing to launch. The state of the game at launch was as bad, if not worse, than when Empire: Total War was released. 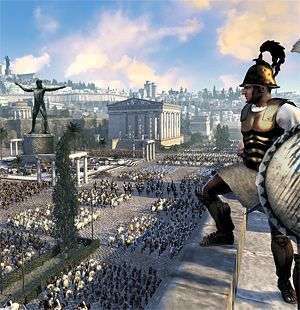 Considering Empire had the innovation of naval battles to implement as well as three land maps and four sea maps for the campaign, it was more understandable than Rome 2’s single campaign map, which delivers less ambition on a bigger budget with a comparable level of bugs. Shogun 2 launched with a multiplayer mode that allowed for persistent levelling of both a personal avatar and your units together with a leaderboard and campaign map dynamic for competing clans, whereas Rome 2’s multiplayer has been scaled back to just the battles with no clan, avatar or ranking support. It defies logic to roll out a game looking to expand the customer base whilst rolling back well-received features that enhance longevity. The gameplay is still bread and butter Total War; you conquer provinces to expand your empire and the new province system encourages you to collect historic collections of cities under the same rule by allowing you to issue provincial edicts once all settlements in a set are owned. This encourages conflict by pushing you to conquer ‘just one more city’, however the AI is feebly passive on this point as it is rare to have war declared on you. I have to say, as a Total War veteran, that the difference between difficulty settings has almost disappeared. While the AI of Shogun would nine times out of ten trounce me on legendary, the same difficulty setting in Rome has been a smooth stroll to conquering Germany as the Suebi. That is until I encountered the campaign camera bug, which fixes the campaign map in a zoomed in location, to which there is no official fix – for a bug that has been around since Shogun 2’s release. It is a statement itself that my campaign should be defeated by buggy code from the prequel rather than my in-game enemies. The battles have been sped up even from Shogun 2; unit march speed and morale breaking seems very quick and even full-army pitched battles regularly last five minutes or less. My longest battle, a siege involving four stacked armies, was twelve minutes. There is the helpful addition of the tactical overview map, however, due to the battle speed, it rarely comes in handy. There is also the addition of many unit abilities where, instead of just a few for elite units, almost every unit now has some kind of special ability that would require incessant button clicking to deploy usefully. Even without using these new arcade abilities I’ve found that in order to keep up with the pace of battles I regularly pause to get my units to react in time – something that was a choice in previous Total War games seems to now be a necessity. With the frantic patching that is going on, these variables are being tweaked and so with every patch the dynamic of battles changes with under and over-correction – perhaps a tale of ‘be careful what you wish for’ in ‘community dialogue’? Players of MMOs will be familiar with the almighty nerf, but thank Jupiter they removed the capture flags for field battles, an episode of Total War history that can now hopefully be swept under the rug. In Shogun 2, naval battles were underpowered and in Rome 2 they are relegated to useless. Armies now don’t need a fleet for transport and simply bring their own transports if moving onto the sea. Yet Navies rarely intercept armies being transported, and since you need an army to defend and conquer settlements, you may as well pool your resources into your armies and forget your navies – even as the great naval power of Carthage. At any rate, the ramming and boarding ability of ships is very buggy and you’re likely to lose any naval battle to bugs. There is a new mechanic that allows for sea regions to be controlled, which boosts fleet replenishment and income from any adjacent ports. Considering fleets are practically useless and you have to own every port adjacent to the sea region to control it, you’d expect more for such a heavy price. There is plenty of streamlining going on in Rome 2. The recruitment process is easier; you simply need to be in the province to recruit units from the army panel, and the simple addition of a strategic overview map lets you survey your glorious empire at a glance and plan what to do next. The province system, although complex, is littered with tooltips and a new public order system that is more flexible and nuanced. The new auto-resolve, although still allergic to certain units, does a good job of giving you more information and a choice of how you want your army to behave (aggressive, balanced, or defensive) and, depending on your general’s ability, will predict the percentage of your troops remaining. It is worth mentioning the new objectives panel, hidden away on the simplified UI, which can give you a solid objective when you’re unsure of what to do next. It will guide your empire through ‘historic’ stages of objectives which is a huge improvement from the random missions that have been a staple of the series since Medieval 2. The factions still have distinctive styles and armies with different fighting styles, and adding to the sense of conquering a large world is the different feel of each part of the map, with corresponding music and ambient sounds that are spot on as usual. Some factions, for example the DLC faction Sparta, feel a little understated and underdeveloped though, and the fact that only Rome and Carthage have the full-faction warfare implemented seems to suggest these were given priority development to the detriment of others. Playing as Rome it soon becomes clear that it is the most overpowered faction as most nations, even the larger empires, will not pose a threat to your vast selection of units. The new in-faction politics is intriguing if somewhat confusing. Each member of your family has a gravitas rating which, over time, increases your influence rating and determines your position within your faction. This indicates whether you are becoming too powerful or too weak and so about to trigger a civil war, although this is still vague and can happen without warning. While there are options to secure promotions, marry, and assassinate various family members, it is all very narrowly managed through the faction tab and lacks character. You also have no family tree and so feel less rooted to your generals or their machinations. The faction politics becomes more annoying than interesting as generals often get wounded, not by enemy agents, but by assassins from rival families, and it’s unclear as to how you protect your generals from this. Generals still level up and gain traits with their experience, but the trait trees have disappeared and you can only view those immediately available, leading to a very eclectic progression since you cannot plan how you want your general to evolve without consulting the encyclopaedia. Armies now gain ‘traditions’ which are experience traits similar to generals’, but if you should lose your entire army and its banner, you can re-raise it and gain back these traits. An interesting concept but overpowered given the AI’s lack of ability. 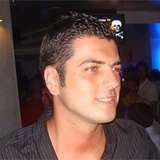 The recent patches, especially patches three and four, have gone some way to addressing some of the major issues. Certainly the absolutely awful turn time has been significantly reduced – no longer do you need to bring a book for the end of your turns. Functionality is definitely improved, and the AI can now use its armies to pose an actual threat, especially with later tiered units. Compared to launch, patch three pulled the game into a playable and enjoyable state. It’s still bare-bones Total War, but I feel the work Creative Assembly has done in a month really deserves some recognition. In doing so, however, it does pose the question of why the game was released in such a state if only a month of patching would have solved many issues. The graphics do look good when turned up to full, yet your functionality will disappear unless you have a fantastic gaming PC. The animations are great; it is very satisfying to see your general gratuitously stab an enemy army to death on the campaign map. Texture pop-in is still a big issue even with a medium to high-end rigs; even scrolling across the map on medium settings can make you feel like you’re playing on the Xbox. Graphics still have to take a back seat to functionality, however, and there are still niggling things such as after a battle the ‘show computer moves’ setting will turn itself on (which increases the dreaded end-turn loading time), or tooltip textures will disappear, or you won’t actually be able to select your settlement. Rome 2 continues the historical focus, giving small tooltips and an encyclopaedia to gain knowledge of the reality the game is based on. The troops, settlements, and technologies all have information available to greater and lesser degrees, and so continues the series’ tradition of opening up doors into the real history. Streamlining of campaign features and new public order mechanics. Varied units, fighting styles and cultures with some historical accuracy. Ridden with bugs, some still game-breaking. Suffers from bad AI – a downgrade from Shogun 2 in terms of challenge. Some features are too streamlined – family/faction politics especially. Very uneven development – Rome is more developed than other factions while naval battles and features are a complete miss. Rome 2 tries to simplify the Total War experience for newcomers. However, releasing a game with so many bugs and simply dropping the multiplayer features does not endear new or old players of the series. The heart of the matter is triple-A emulation. Why is there a live action trailer for Rome 2 yet so many in-game issues? Why is there a tie-in book yet there are game-breaking bugs? Why are the Greek states bundled into a day-one DLC package? The only thing triple-A about Rome 2 is the marketing. I am a devoted fan of Total War, but this title has been a step backwards for the series, and an especially heartbreaking one considering the achievements of Shogun 2. As is increasingly the case in this industry, what everyone who has purchased this game has bought is an investment. 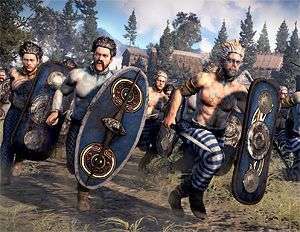 Unless you’re devoted to Total War, come back in a few months when bugs are removed, graphics streamlined, and patching of battle mechanics settled, and you may find a great game. There is fun to be had in Rome 2; it just takes some work to find it. I am a big fan of Shogun 2, I’ve put in over 150 hours into that game and love it to bits. As such I was abit disappointed to find that I haven’t gotten on so well with Rome 2. Despite owning it since the first week of release I don’t think I’ve cracked 10 hours yet. I owe it to Shogun 2 to give the game another chance, might just wait a little longer until a few more patches have been released though.